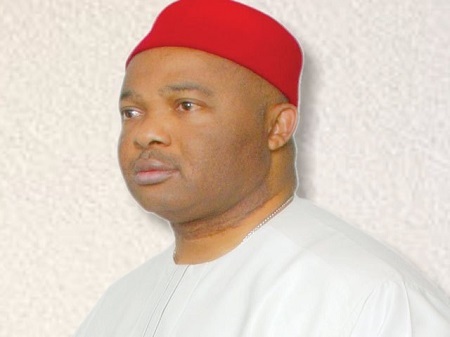 The fight for the soul of Imo state has continued as APC Governorship candidate, Senator Hope Uzodinma has dared the incumbent governor, Rochas Okorocha. Uzodinma who has the backing of APC chairman, Adams Oshiomole, said Governor Okorocha has underestimated how unpopular he has become in the state. He stated this in reaction to Okorocha’s claims that APC will lose the state and five million votes in the South East for denying his son-in-law, Uche Nwosu, the governorship ticket of the party in the 2019 election. In a statement, by Declan Emelumba, his Director of Media and Special Duties, Mr Uzodinma said the only reason APC would win in the state is his being the governorship candidate of the party. According to him, governor Okorocha’s membership of the party was, indeed, a minus. “Okorocha has run for many elections including the governorship of Imo State, before 2011, and even the presidency, and lost all. But, in 2011, in particular, Imo people voted more against former governor Ikedi Ohakim than for Okorocha, so, he merely benefitted from the anger of the people against Ohakim. Mr Uzodima further said he defeated Okorocha’s political party in Imo West Senatorial District in 2011 and 2015, even as governorship candidate and incumbent governor, respectively.